The audio contained on this page is subject to copyright (2019), and users are not authorised to reuse, distribute or make material changes to the audio provided without the written consent of PCM(L) Ltd.
Standen’s MOT Centre provide from just £35. Also providing repairs and servicing for all makes and models of cars and vans. Need a taxi across Lancaster & Morecambe? Coastal taxis cover the whole area. Supplying quality ‘A-Rated’ uPVC windows, doors and conservatories right across North Lancashire. Window and door replacements from your local trusted supplier and installer. Lancaster Escape Rooms... One Hour... Can you Escape? A great experience in their themed escape rooms... break the code, solve the clues to escape! Ocean Edge is part of Park Dean Resorts. A beautiful holiday destination in a clifftop setting and stunning ocean views, it’s also a perfect setting for your next holiday home. Supplying high end, top quality beds in Lancaster. We also stock mattresses, sofa beds and headboards. Call us today for a bespoke bed service. M6Media create affordable websites. We design websites for businesses locally and nationally. We specialise in full online shop, e-commerce websites to help businesses expand their portfolio. For a great nights sleep at a great price, visit Bedland Morecambe. Free local delivery and removal of your old bed. The Royal Kings Arms offers 55 contemporary en-suite bedrooms including the impressive Castle Suite with its luxurious four poster bed. At Lancastrian Estates we put you, the customer, at the heart of everything we do and exceptional service is not just offered but guaranteed. We have over 100 years of local property experience and combine this with the latest technology to ensure our client’s properties sell fast. 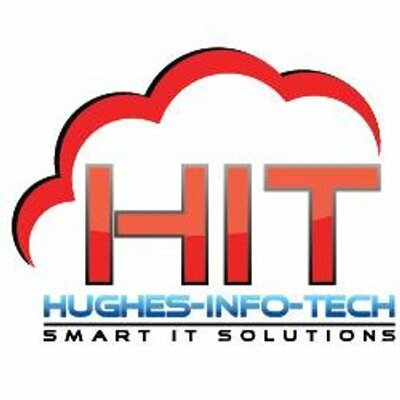 Hughes Info Tech supply and install CCTV Cameras, home automation, cyber security, business telephones & broadband. Also providing a wide range of IT services including hosting & data centre services. Combine shopping and sightseeing at Morecambe’s Festival Market just a stroll away from the town's promenade and local attractions. The Clarendon Hotel affords spectacular views of Morecambe Bay towards the peaks of the Lake District. The ideal venue for your wedding with packages for all budgets. ICU Security Services is an approachable, professional company with a wide range of experience in the security sector. With over 15 years of experience in the industry it is our belief that no problem is too big or too small for us to help. Neck pain? Back pain? Old sports injuries? 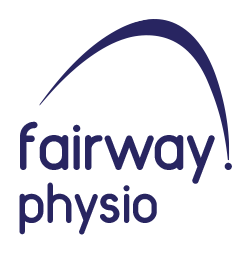 Fairway Physio provide treatment and rehabilitation to suit your individual needs. The Port Of Lancaster Smokehouse has an enviable reputation for smoked foods. We also smoke fish and meats on behalf of customers. For the best quality smoked fish and smoked meats visit us. At Butcher & Tonic there’s over 80 Gins and 11 Tonics, a wide range of Wines and Beers, Real Ales. Discover our hand crafted menu serving local sourced British cuisine. Bay Healthcare offer a wide range of new and used mobility scooters. Also suppliers of rise and recline chairs and adjustable beds and stairlifts. Ask Insurance Services – A small insurance company with a big heart based in North Lancashire are an independent company with access to a wide range of insurers. This allows us to offer a wide range of insurance products that reflect your personal, business, leisure and lifestyle interests. Morecambe's finest Indian Cuisine. Call to book your table and try our fantastic food for yourself. Car or van tyres worn out or bald? Call TRSR Tyre Bay for new and part worn tyres at great prices. Recovery services also available. Call Gary! Bare Dental Clinic & Dr Dadswell has been practising dentistry for over 15 years. He has a broad range of experience in techniques used to relax patients and treat dental problems. Salt Ayre Leisure Centre are passionate about providing a friendly and welcoming atmosphere within which members of our local community can embrace a healthy and active lifestyle. Whether you are an avid gym-goer or a leisurely swimmer, or anywhere inbetween, our dedicated and experienced staff are always on hand to help, motivate and provide guidance on how you can achieve your goals. Imageon LTD are based in Lancaster and supply printed and embroidered logo workwear, banners and promotional goods. BusinessGiftUK.com Supply branded and promotional merchandise to charities and businesses across Lancashire.